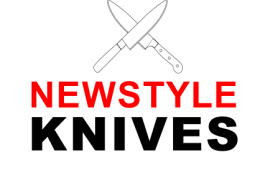 Carve with comfort using Newstyle Direct Knives! 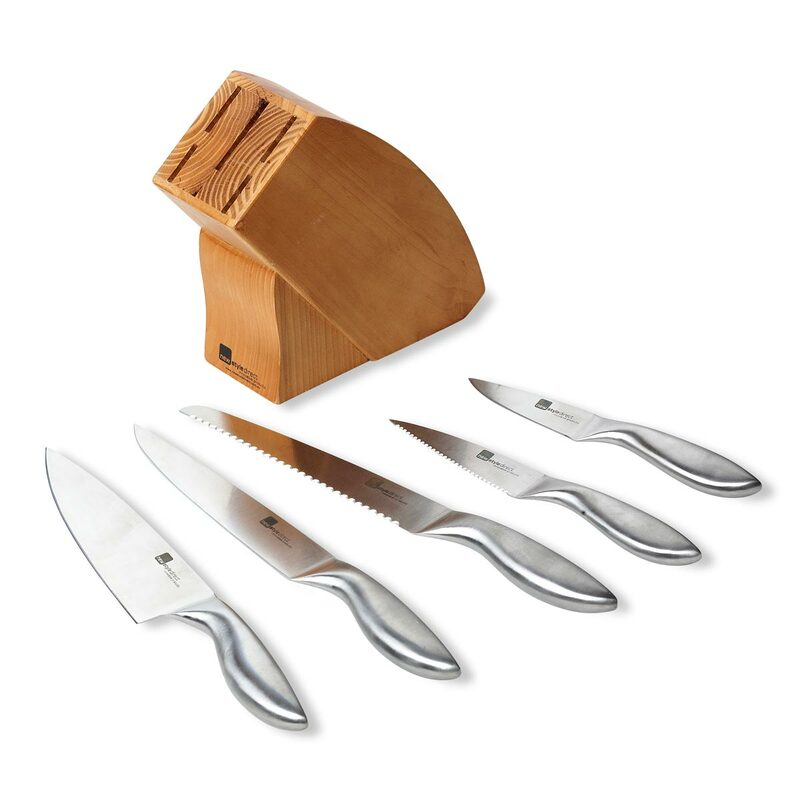 Designed for comfort, these cleverely designed knives, each manufactured from quality stainless steel, feature ergonomically shaped handles to ensure correct grip. 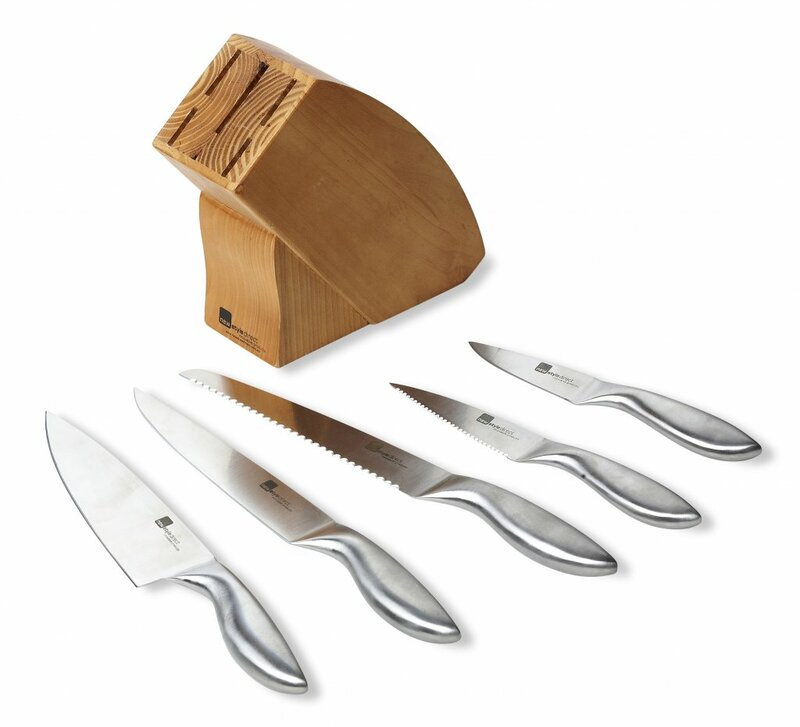 This set includes 20cm (8″) chef’s knife, 20cm (8″) bread knife, 20cm (8″) carving knife, 12cm (5″) utility knife, 9cm (4″) paring knife and wooden knife block. Designed for comfort, these cleverely designed knives, each manufactured from quality stainless steel, feature ergonomically shaped handles to ensure correct grip. 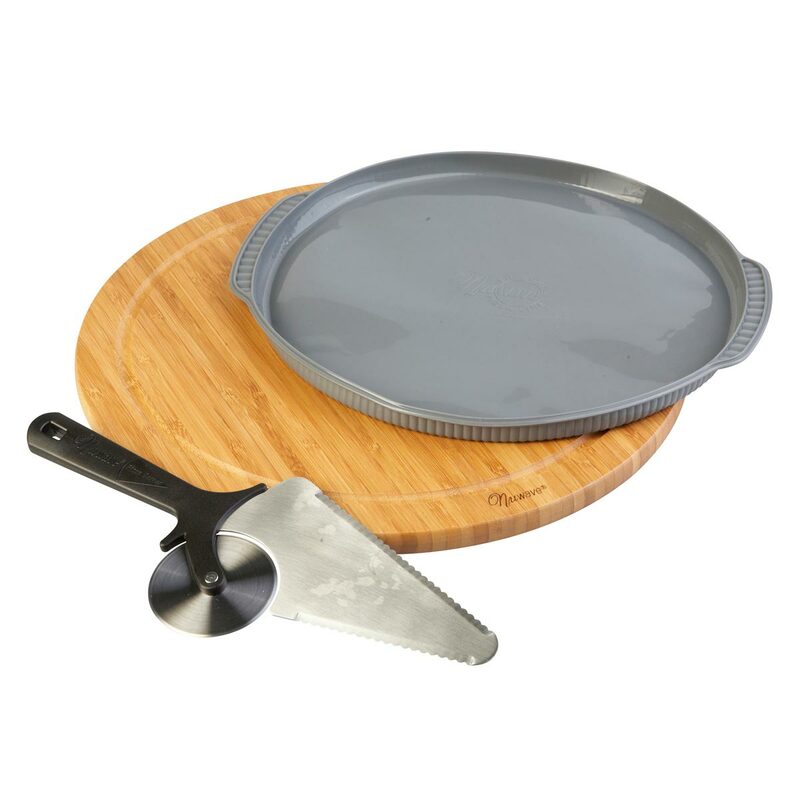 This provides the foundation for good technique to complete all your chopping, carving, disjointing of large meat portions and fine slicing with ease. 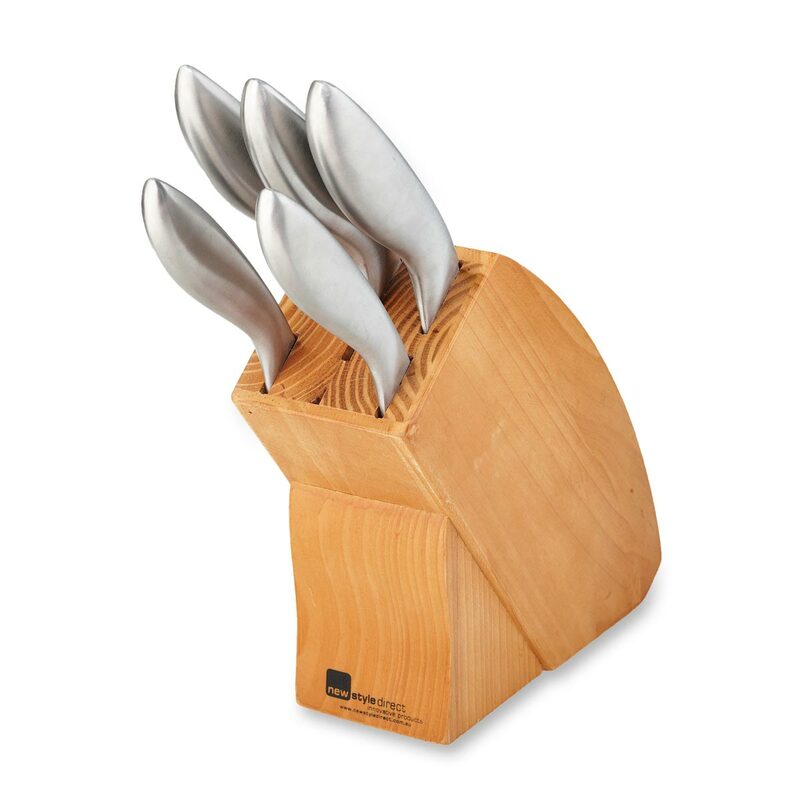 They all fit perfectly in the rustic wooden knife block. A modern chef’s knife is a multi-purpose knife designed to perform well at many differing kitchen tasks, rather than excelling at any one in particular. 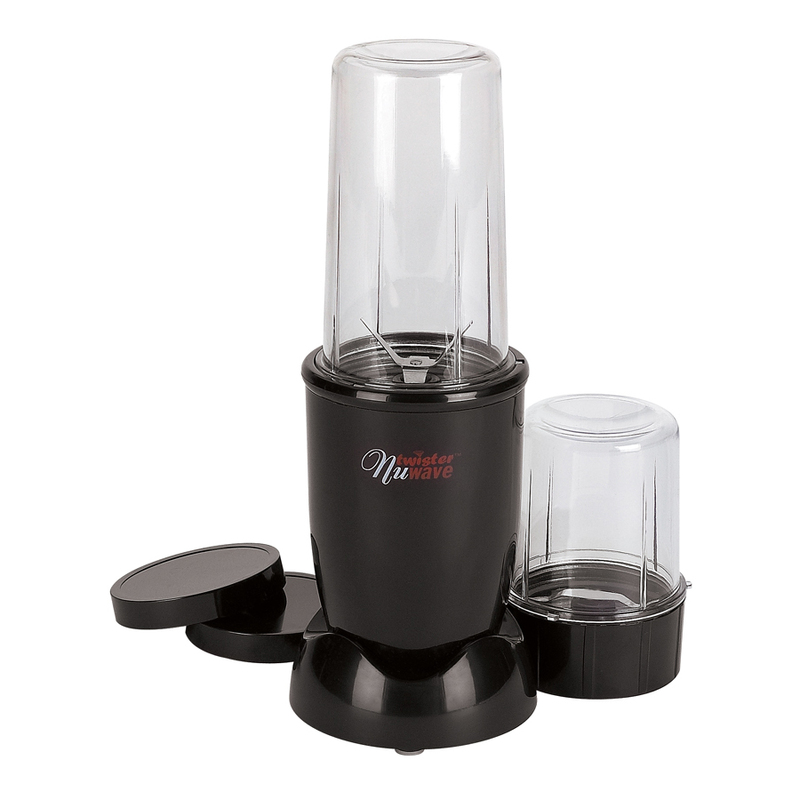 It can be used for mincing, slicing, and chopping vegetables, slicing meat, and disjointing large cuts. A dedicated bread knife is an essential addition to every knife block and will turn slicing crusty bread a special occasion. 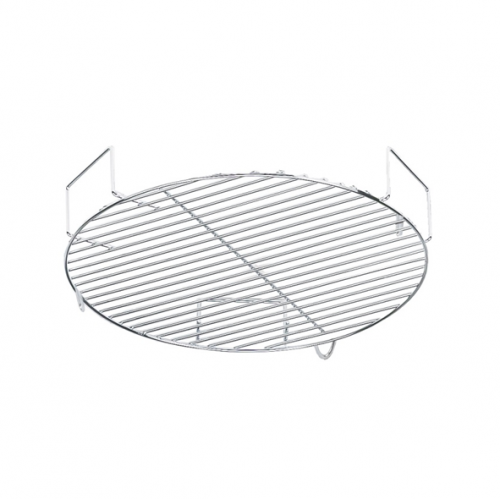 The ultra sharp serrated blade will cut through the crispy outer then slice the soft inside without tearing or rolling. A carving knife is a large knife that is used to slice thin cuts of meat, including poultry, roasts, hams, and other large cooked meats. A carving knife is much thinner than a chef’s knife (particularly at the spine), enabling it to carve thinner, more precise slices. Among the most versatile knives, this is the knife you‘ll use daily for chopping, slicing, dicing and mincing. Use: Smaller than a chef’s knife but larger than a paring knife, this versatile knife excels at everyday tasks, from cutting sandwiches to slicing meat. A paring knife is a small utility knife that can be used for peeling and chopping fruits and vegetables. Paring knives are extremely versatile and can be used in a wide variety of ways, making them one of the most frequently utilised knives of a chef’s kitchen.